Last week, Raizner Slania filed a lawsuit against Wake Forest University, the Atlantic Coast Conference (ACC), and The National Collegiate Athletic Association (NCAA) on behalf of a former college football player suffering long-term complications from concussions sustained during play. The plaintiff played for Wake Forest as a fullback and tight end where he sustained repeated concussions during drills, practice, and games. On several occasions, the plaintiff was hit so hard he “saw stars” and suffered from throbbing pains in his head, which in one instance resulted in a migraine headache that lasted for several weeks. On one particular occasion, the plaintiff sustained a concussion that caused him to have difficulty sleeping, but he was required to continue playing. 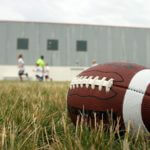 Shortly thereafter, the plaintiff was put into a football game even though he was suffering from a severe headache and was later sidelined due his injuries. The plaintiff now suffers from memory loss, light sensitivity, mood swings, depression, dizziness, fatigue, headaches, sleeping disorders, and irritability. College football players are subjected to more than 1,000 impacts greater than 10g’s (gravitational force) while playing football each season. This is the equivalent of hitting the windshield of a car crashing into a wall at twenty-five miles hour several hundred times during the course of each season. The NCAA and its member institutions failed to implement protocols and procedures to protect student athletes from severe complications from concussions. Additionally, the Defendants failed to educate the plaintiff on the short and long-term health risks associated with repeated head trauma. The NCAA and its conferences and universities have a responsibility to put their athletes’ wellbeing before profits. While collegiate football is a huge moneymaker for the NCAA and universities, very little action has been taken to protect athletes from complications related to concussions. The NCAA, its conferences, and universities have a responsibility to look after the health and safety of their student-athletes. Contact Raizner Slania today if you or a loved one have experienced head trauma and neurological disorders as a result of a head injury while playing for an NCAA regulated football team.